﻿ The Webb House Museum - Ohio. Find It Here. Built in 1907 in the Arts and Crafts style, the Webb House maintains the look of a private residence. Frank Camden Webb and his bride, Shirley Park Pitser, were both from prominent Newark families. They filled their new home with beloved antiques and family heirlooms. Mr. Webb died in 1942, but Shirley Webb continued to live in their home for the remainder of her life. 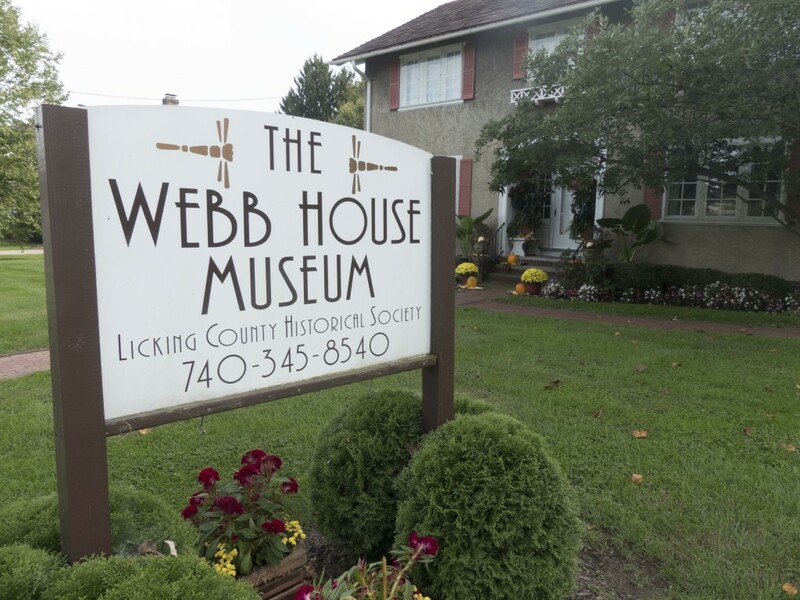 Upon her death in 1976, Mrs. Webb's home and collections were left to the Licking County Historical Society to be enjoyed as a museum. The original wood paneling has been polished to a mellow glow and large windows look out upon the lawn and gardens. A family collection of antique furniture, china, silver, glass and more enhances each room of the home. Displays change seasonally, both inside and out. Visitors may enjoy a stroll through the cottage gardens abloom with fragrant roses and heirloom flowers. A visit to the Webb House is sure to delight the sense and bring back memories!